These are words from 3000 years ago describing the devastations of human sin and the condemnation from the Lord to his people. However, who back then would have thought that even birds in the sky and fish in the sea would be wiped out, all because of human rebellion? Indeed, it is happening right in front of us as seen in news from around the world which seldom brightens our day. Some recent samples: terrorist attacks and chemical warfare; gun violence tragedies on campuses; millions being displaced because of armed conflicts; civil unrest in multiple nations; massive flash floods rampaging cities; wildfires destroying not only forests but entire towns; massive depletion of fish stock in all great oceans; and the list goes on. The prophetic description follows a biblical pattern right from Genesis. 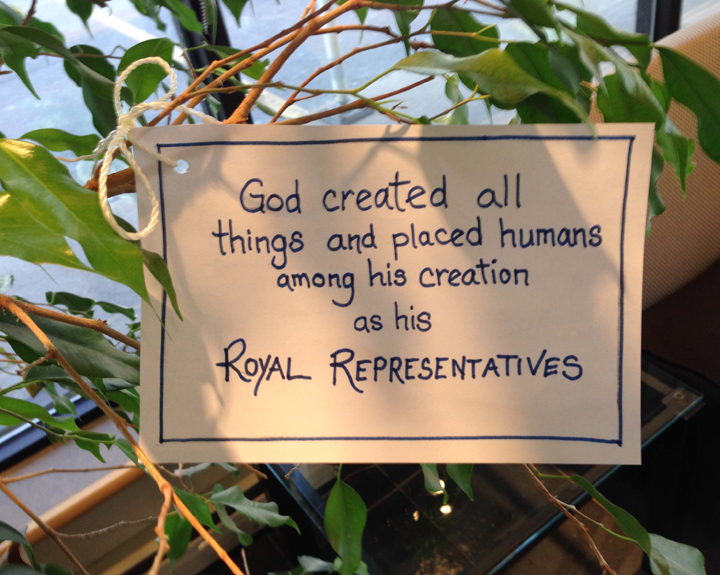 God created all things and placed humans among his creation as his royal representatives (the image of God) and priests (as seen in the priestly duties of tending the garden). However, once we rejected our created roles, not only were our relations with God severed, but we started fighting against our fellow human beings. And the rest of creation has been devastated ever since; as put in Romans 8:22, the whole creation is groaning. Of course, our hope is in Christ, who will “reconcile all things unto himself” (Colossians 1:20). Do we play a part in that restoration and reconciliation too? Definitely! Paul puts it again in Romans 8:19: “The creation waits in eager expectation for the sons of God to be revealed.” Are you one of these sons of God? 1. What do you see the world’s situation to be today? Do you see or hear what Hosea describes? 2. What does it mean to be God’s representatives and priests on earth? What are the implications for your daily living and working? Samuel Chiu is Multicultural Programs Director of A Rocha Canada, an international Christian organized which, inspired by God’s love, engages in scientific research, environmental education, and community-based conservation projects. Samuel was formerly a pastor at Scarborough Chinese Alliance Church. He is passionate about Christians in Canada and around the world getting involved in care for God’s creation. Visit www.arocha.ca.